Park Lane has the ultimate location to enjoy Dingle in style. 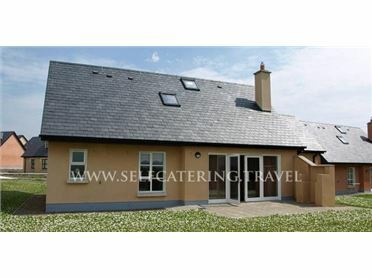 A three bedroom, three bathroom house a minutes walk from Dingle harbour on a quiet street. This house has been restored to the highest standard with beautiful wooden shutters on the sash windows, contemporary furniture, a fitted booth in the classic kitchen, a wet room, TV in every room and plenty of space to relax. The courtyard at the back is the perfect suntrap with a gas BBQ, alfresco dining and a door that leads directly into the gorgeous town park. The main living area is structured by the luxurious corner couch which hugs the wood burning stove, with a dining table for 6 plus a fitted booth in the kitchen area there is plenty space for all. The newly fitted kitchen has a large American style fridge freezer, classic country kitchen units and a fitted double oven and microwave. The calming grey reading room at the back of the cottage is a great space for some quiet time with big comfy couch's and two large shuttered windows and a wall mounted TV with a separate satellite if you want to watch the match in peace.